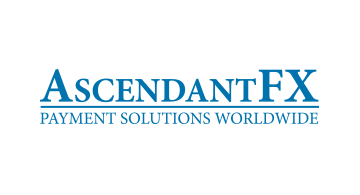 Money20/20 - AscendantFX Capital Inc.
AscendantFX combines tailor-made technology, dedicated customer support and seamless accounting integration to deliver international payments with speed, accuracy, at a lower cost. We partner with over 2,000 financial institutions and software providers. Clients and partners have multiple integration opportunities including uploading a file from theirERP system, implementing a single sign on from their system, a white branded instance of our platform, or a complete API integration using AFXLink. The solution allows partners to offer payment services to generate additional revenue and our in-house development team allows for customization of solutions in short time frames. AscendantFX is headquartered in Toronto, Ontario with offices in California, Florida, Omaha, Maryland,Chicago and Victoria, British Columbia.